Folks living in Bergen are used to lots of rain, but Friday’s downpour was too much even for them. Streets turned into rivers, buildings were flooded all over town and even the city’s famous funicular shut down for only the second time in 105 years. The downpour began just after noon and the rain was so heavy that roads were quickly flooded and cars stranded with stalled engines. Homes, offices and retail establishments were flooded as well, and so many calls came in for help that the local emergency phone line broke down. 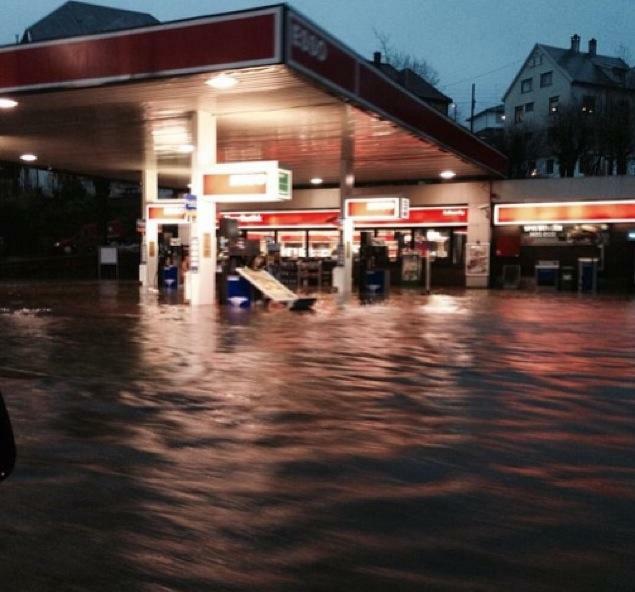 Experienced emergency crews said they’d never seen anything like the deluge that hit Norway’s second-largest city. “This is the worst I’ve ever experienced,” Leif Linde of the Bergen fire brigade told NRK. Civil defense crews were called in to help with pumping capacity, but many got caught in the traffic congestion tied to the storm. 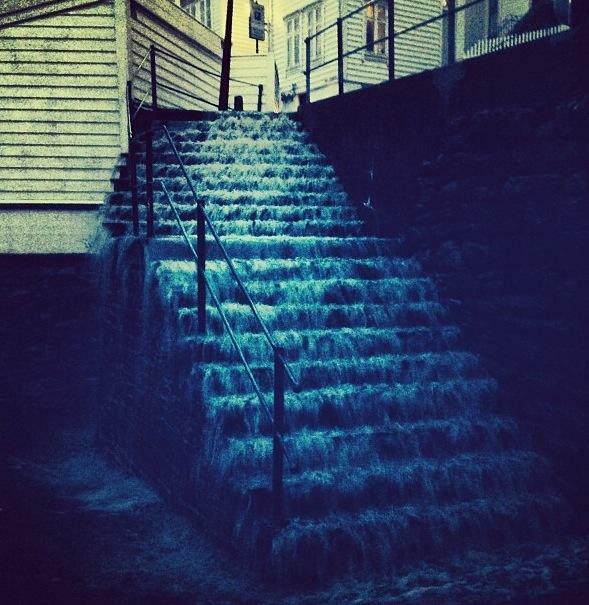 The city’s famous funicular known as Fløibanen also had to be halted after enormous amounts of water flowed into its lower station. Fire crews arrived to pump it out while other crews tried to unplug a drainage pipe that had clogged. “There’s only one other time in the line’s history that this has happened,” Harald Håland of Fløibanen told NRK. The sheer amount of rain that fell Friday afternoon was highly unusual. Helicopter service to North Sea oil platforms also was suspended, and the Hurtigruten coastal voyage service was disrupted as the storm move north along the coast of Sogn og Fjordane. State meteorologists were warning of extreme weather in Trøndelag and Helgeland, with strong winds, rain and waves that may be as high as 18 meters on Saturday.